As most of you are aware that Apple has announced iPhone 5 just 2 days ago. 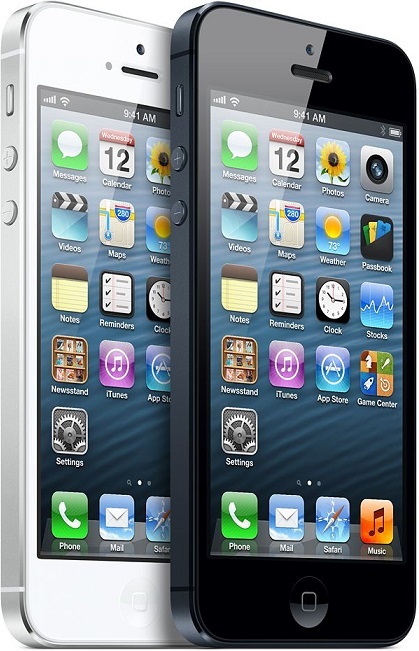 iPhone 5 Â comes withÂ 4-inch Retina display, Â an Apple-designed A6 chip powered by iOS 6. Some of the new major features or additions in terms of hardware upgrade include the taller display if you compared it with previous iPhones. They have kept the Width of the phone same and has increased the height of the iPhone creating room for a fifth row of icons on the display. In this post, we will talk about the major upgrades that come with this new iPhone compared to iPhone 4S. Apple increased the height of iPhone from 3.5Â inch (diagonal)Â to 4-inch (diagonal)Â Â keeping the width of the iPhone same as previous versions. The logic from Apple behind keeping the width of the phone intact is that, any iPhone user can access and operate full iPhone with just his thumb without the need to use the other thumb. This increase in width comes with a change in resolution toÂ 1136-by-640 fromÂ 960-by-640, but the pixel density remains unchanged toÂ 326 ppi which is same as that in iPhone 4S or even iPhone 4. 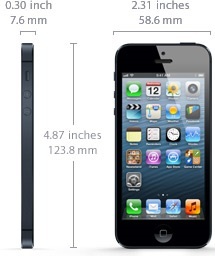 Iphone 5 is the thinnest and lightest iPhone ever made from apple. Compared to iPhone 4S, itsÂ 7.6 mm anodized aluminum body is 18 percent thinner and 20 percent lighter than iPhone 4S. You should take into account the fact thatÂ in spiteÂ of Â 4 inch large display, Apple is still able to make it lighter than iPhone 4S. It is powered by newÂ Â A6 chip designed by Apple. The guys at Anandtech report that this iPhone 5’s A6 SoC is not an A15 or A9, but a Custom Apple Core Instead. 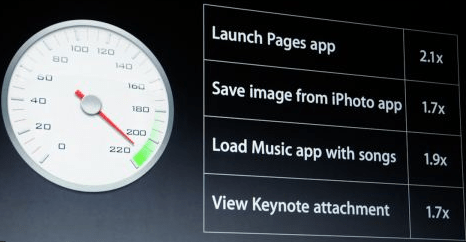 Apple avoidsÂ announcing clock speeds, CPU microarchitecture, memory bandwidth or GPU details, but they did announce the expected performance improvement for different operations on iPhone 5. Take a look at the screenshot below. It is powered by iOS 6 with all new Maps app from Apple with Apple-designed cartography which replaces Google Maps, turn-by-turn navigation and new Flyoverâ„¢ view. iOS 6 includes tight Facebook integration for Contacts and Calendar on the phone with the ability to post directly from Notification Center; new Siri features, including support for more languages, easy access to sports scores, restaurant recommendations and movie listings. It comes with support forÂ Nano-SIM only andÂ is not compatible with existing micro-SIM cards that were used by earlier models like iPhone 4S or iPhone 4. Unless your ISP provides you with a nano SIM, you can not use this device with your existing SIM or micro SIM even if it worked with your iPhone 4S. iPhone 4S comes with a VGA resolution Camera, whereas iPhone 5 comes withÂ 1.2 MP Facetime Camera withÂ 720p HD video capability. It also comes with the capability to take still photos even while recording videos on your phone. It comes with LTE support letting youÂ browse the web, stream content, or download a movie at blazing-fast speeds, thoughÂ Â LTE is available through only through select carriers. You must check your Carrier if they provide LTE or not. It comes with newly designed EarPodsÂ Â with Remote and Mic are designed to rest comfortably inside â€” and stay inside in a variety of ear types. Apple claims that the audio quality is so superior that they rival high-end expensive headphones. Some users who have used it are very impressed with it. I am quoting one of them from the Apple store page. These little suckers are on par with my Bose $130 headphones (MIE2i). They are a HUGE leap forward from the prior Apple Ear Buds.Â There are immensely comfortable, and even the buttons on the chord have a better feel (more satisfying click) than the prior Ear Buds. As for sound, they produce a great, rich, range; with much improved bass. It comes with a 8 pin reversible lightning connector instead of the big 30 pin connector.